The talented singer-songwriter from Bangor, now living in London, is going from strength to strength. Her first single on Blinc Records, Grace, was chosen as song of the week on Radio Wales in 2014. Championed by BBC Cymru Wales, and described by legendary Radio DJ Janice Long as “mesmerising”, Casi was given the opportunity to record a session at the famous Maida Vale studios in London, and also played in festivals such as Green Man, Festival Number 6 and Sŵn Festival. 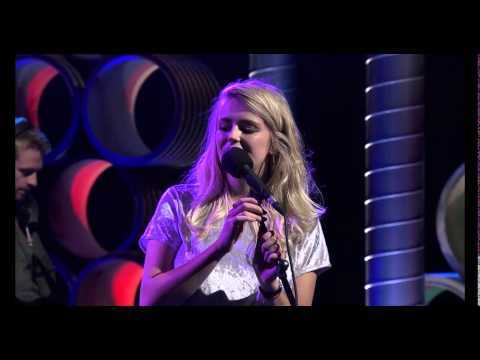 Casi’s work is now played often on the national BBC Radio stations, such as BBC Radio 2 and BBC 6 Music, and in March 2015 her song Roads was given a playlist slot on BBC Introducing on Radio 1. Her new EP is complete, and it will be released soon on Blinc. Welcome the brand new website for Casi. Here you will find sound and video, news, and a link to the online shop. Send a message, and share on your social media. Watch this space for more information from Casi and Blinc in the near future.